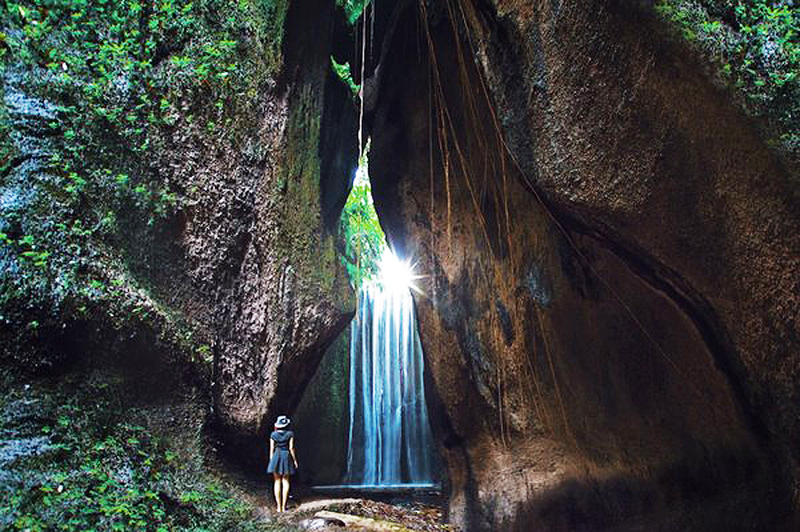 Hidden Canyon Bali Tour or Hidden Canyon Beji Guwang Day Tour is a must do Bali Day Tour. 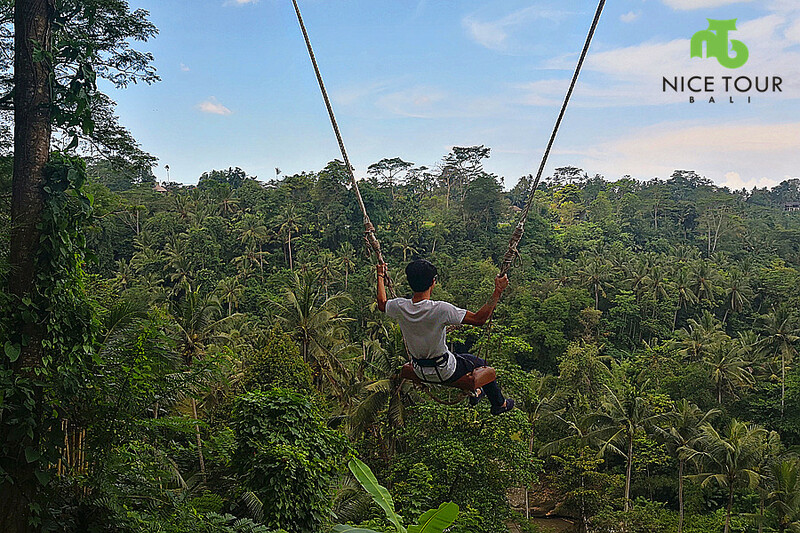 It is a 3 – 4 hours trekking, swimming, cliff jumping, rock swinging, rock climbing, paddy fields and your Bali Day Tour day will end with a two hours spa and massage in Ubud or in Kuta, depend on where you stay. This Hidden Canyon Beji Guwang is insane! The turquoise water, the shapes of the rocks, makes for some amazing photos! And even though it was a super hot day, it wasn’t crowded at all. There is a small entrance fee and you can get a guide, and you should! Once you go in the canyon you will realize that without a guide, you’re gonna have to get wet, it’s not easy to see the paths in the rocks and the guides know them. Totally worth it though, and the guide doesn’t even really charge you, you can donate as much as you want. Bali Waterfall Day Tour visit to -Tukad Cepung Waterfall, Tibumana Waterfall and Kanto Lampo Waterfall. Day 1: Your Hotel - Sukawati - Hidden Canyon Bali Tour - Hidden Canyon Beji Guwang and Back! 09.00am: Pick up from your hotel. And, we will start the day by visiting to Sukawati Local Market. 10.00am: Arrive in Sukawati Local Market. You can do some shopping and you will be given 2 hours to shop around. Remember to bargain and your guide will assist to tell you the local prices of the items. 12.00pm: Lunch at local restaurant in Sukawati Local Market. 01.00pm: After lunch, you will have your 3 hours adventure at Hidden Canyon Beji Guwang. 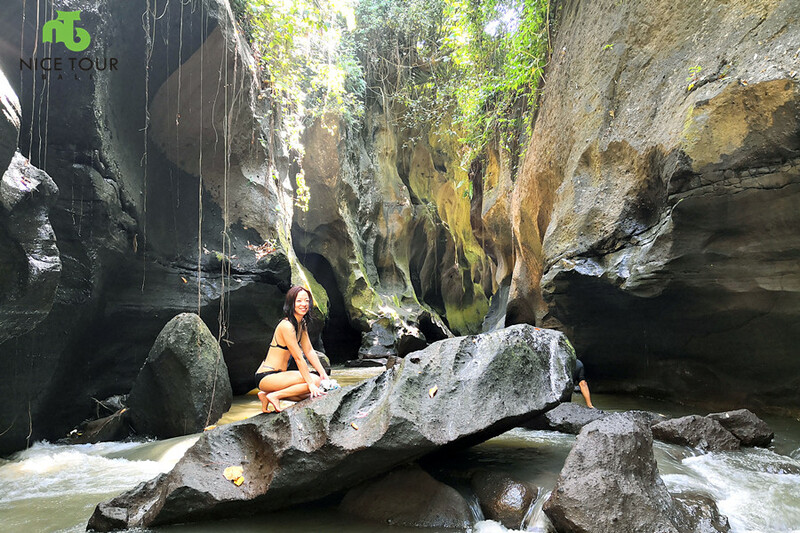 You will accompanied by local guide across the hidden path of beutiful rocks, small path, jungles, jumping in river from cliffs, swimming, and experience the beutiful waterfall of Bali. This is an insane adventure and you might lose some weight after this.. we are sure! 04.00pm: Back at finish point after a 1km walk through the paddy fields. It will be a nice green walking path! Take a shower and get changed! 04.30pm: We will drive you for a 2 hour spa & massage either in Kuta or Ubud, depend on where you stay! 06.30pm: After spa & massage, we will provide you with dinner at Saren Indah Restaurant(if you are staying in Ubud) or at Ayam Tulang Lunak Marioboro(if you are staying in Kuta). 08.00pm: Back at your hotel. Your wonderful day ended right here! Entrance fee at Hidden Canyon Beji Guwang.